Black mold can grow and get out of control long before you see and smell the problem. The difficulty in dealing with black mold is that there is a health hazard associated that can directly impact anyone with a compromised immune system or present breathing troubles. A severe mold infestation should be taken care of as soon as it is discovered to preserve the health of you and your family. The weather in Orange County and the surrounding areas are typically lovely, and the idea of mold infestations seem a distant threat. The reality is mold spores are present in the air in nearly every climate, especially near large bodies of water. These mold spores enter the home on clothing, shoes, bags, and through fresh air. Once they make their way indoors, finding a fresh, undisturbed area of the house is all that is needed for the problem to start. Common areas to find black mold are bathrooms, closets, cupboards, basements, and attics. 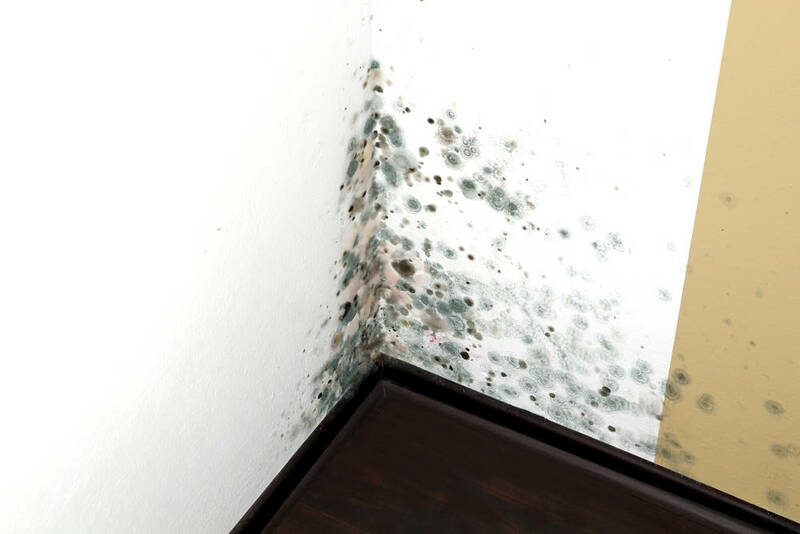 Visible dark spots on the surface of walls, ceilings, and floors mixed with a pungent, musty odor are good clues that you have a problem with mold in your home. The wise solution is to have experts in the Orange, Los Angeles, San Bernardino, and Riverside Counties safely isolate and remove black mold. Professional remediation personnel understand the health hazards of black mold and demolish it. There are times that your home has a black mold problem, but the location is not as noticeable. Mold experts can locate these problematic areas, such as under flooring, behind drywall, and in areas of plumbing fixtures. There might even be black mold lurking in behind the insulation. Water intrusion locations are a likely spot for black mold to settle in and grow. These areas will have to be thoroughly checked, cleaned, and new materials put in place that is free of mold. Take the time to have a professional mold remediation company take care of the problem so that you can get back to good health. Contact the mold remediation specialists at Tri Span for complete removal in all of Orange, Los Angeles, San Bernardino, and Riverside Counties today! Black MoldLos Angeles CountyMoldMold RemovalOrange CountyRemediationSouthern CaliforniaTri Span Inc.